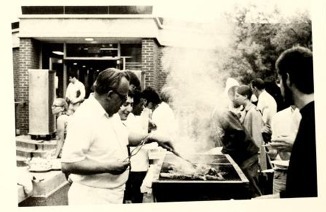 The 1968 Caf Staff prepare a BBQ for students to enjoy during the warm weather of fall semester! Barbeques like this today are still common in the Fall semester in order to kick off homecoming. ← Hanging out in Harlan Hall!